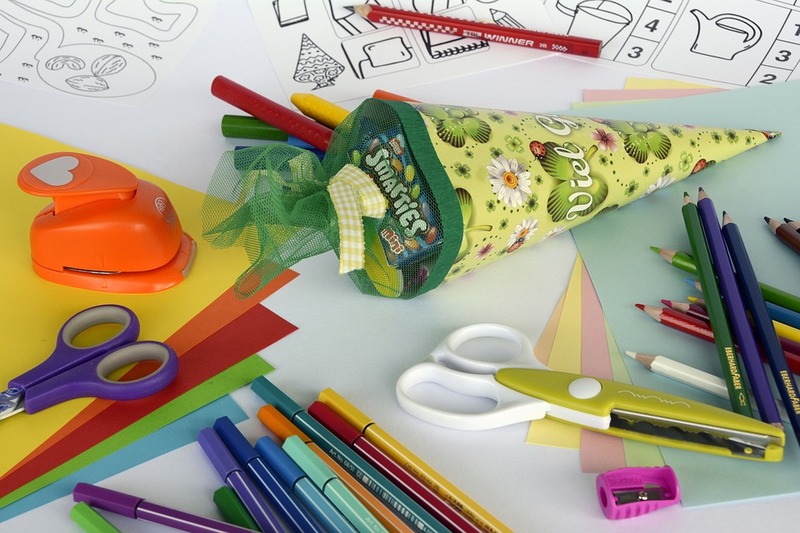 Create your own party bags by decorating paper bags! - YoursTrulyHandmade.com - DIY, Home Rennovations and a lot of crafts! Kids love Birthdays and they also love Birthday parties. Unfortunately a side effect of kids’ parties is the stupendous amount of plastic bags used for party bags. What if instead of using plastic bags to give our kids friends at the end of the party we could do something a little more sustainable? For a fraction of the cost we can buy some paper bags, and then use materials from around the home to decorate them and make some incredibly unique bags. If you have kids, you probably also have an abundance of glitter, coloured pens, stamps, stickers and much more. All these materials often will get used once and then the final products will just end up in the bin. Instead of drawing on bits of paper during play time, give the kids paper bags and let them have their way with those instead. To make the bags party ready you could write the attending children’s names on the bags so that each bag is tailored to a specific guest. This way if someone puts their bag down, there will be no fighting over whose is whose and everyone will know which bag is theirs. To get your own paper bags visit Paper Bag Co. You will find a wide range of paper bags including patterned counter bags (animal prints, stripes, polka dot or gold star) as well as a range of other bags in a choice of colours.